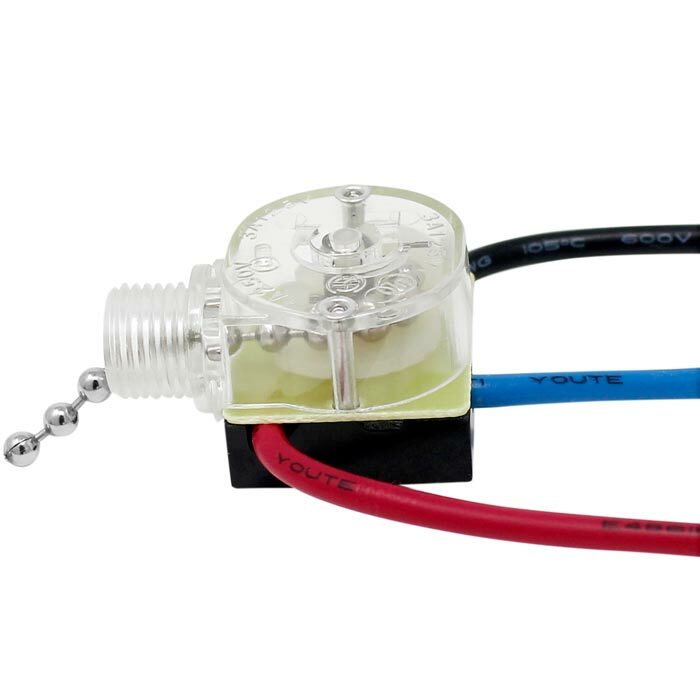 The Zing Ear ZE-110 3 wire 3 way fan switch activates light by gently tugging the attached pull chain. 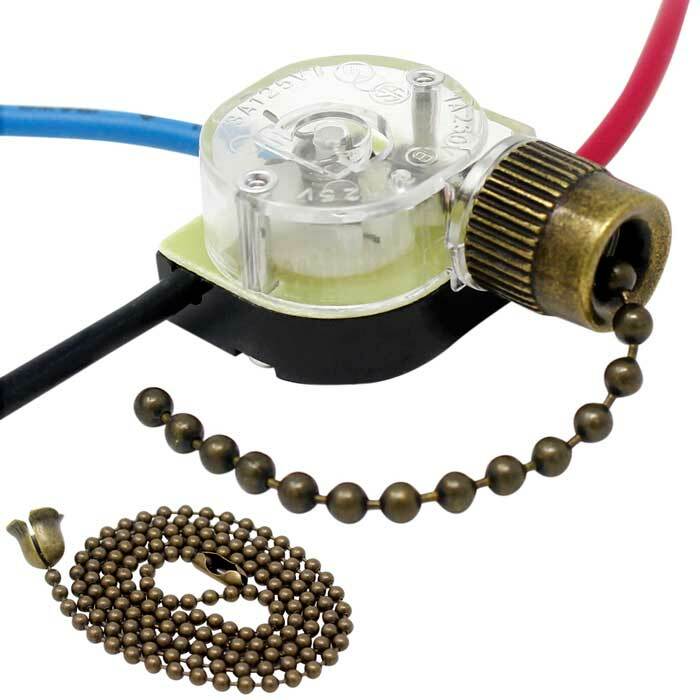 Mostly used to turn the light ON & OFF on a ceiling fans with 3 wire capability. It is easy to install and highly recommended for quick ceiling fan repair. Available in Brass, Antique Brass. Nickel & Black Nickel. 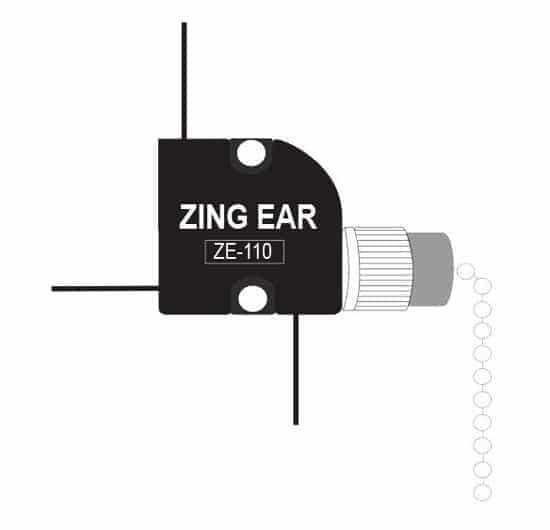 Note: Zing Ear ZE-110 is a perfect replacement for many models including Shine Top LS-302, Sun-Lite J-102, Gardner Bender GSW-39, Crest Healthcare Supply 1689-050 and Harbor Breeze 101870. 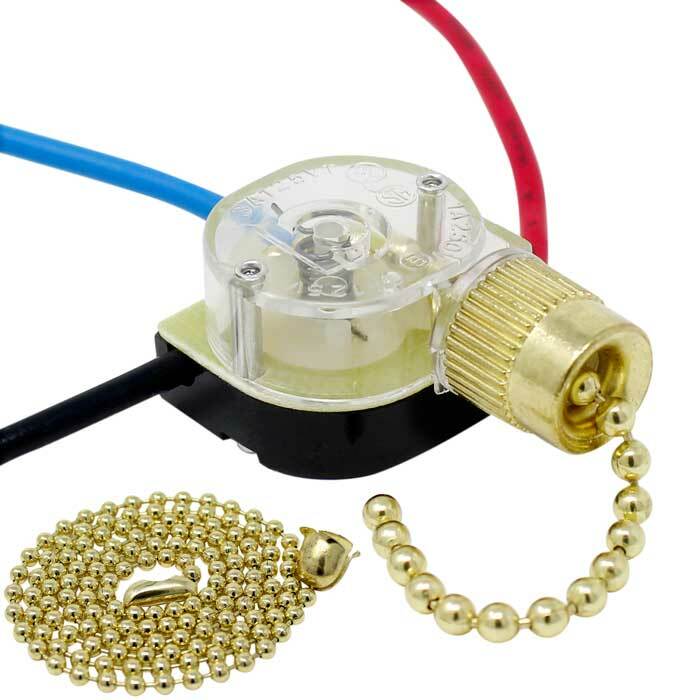 Fix your ceiling fan with the Zing Ear ZE-110 3 wire fan light switch. 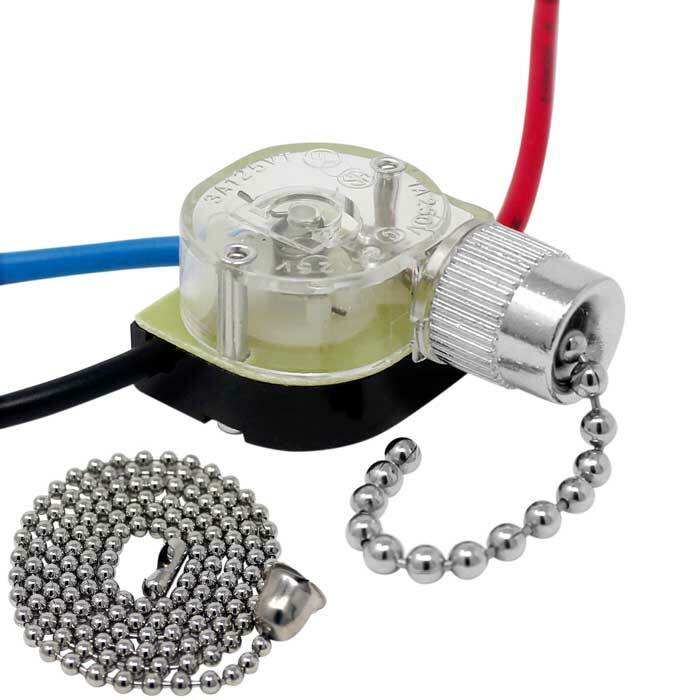 It activates canopy lamps and ceiling fan lights by gently tugging the attached ball chain. 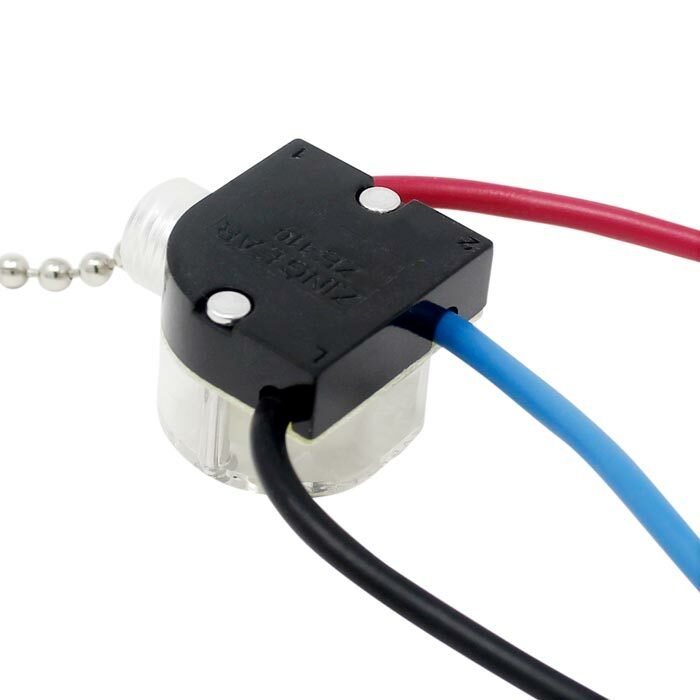 Zing Ear ZE-110 is designed for 3 wire ceiling fans and lighting fixtures. This is fan light switch is also known as a 3-way switch because it controls fan light and lamps as follows: both lights off, one light on, other light on, both lights on. 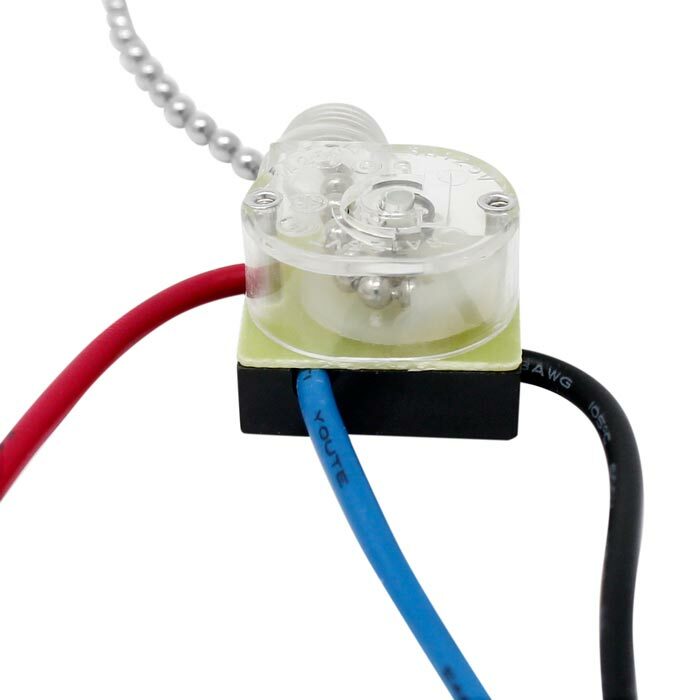 This 3-way fan light switch is rated for 1 Amp at 250 Volt or 3 Amps at 125 Volts. It is also UL recognized and CSA certified, therefore, it is safe to be used in any household application in USA and Canada.